For most farmers, their day-to-day duties consist of tending to their land and knowing how to reap the most from their crops. 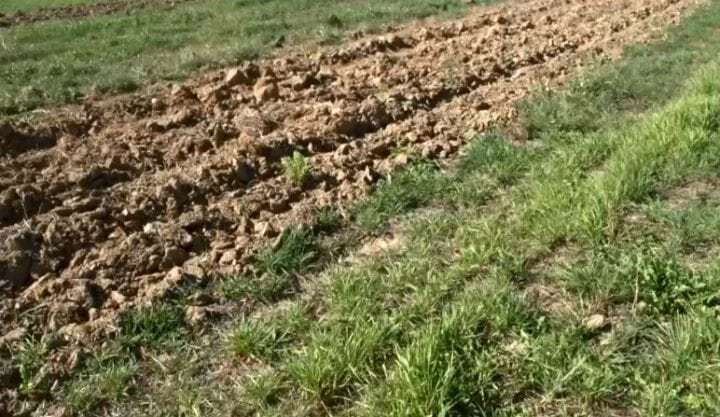 While these agriculture experts are used to checking on the daily progress on their farms, they sometimes come across extraordinary finds that are completely unexpected. 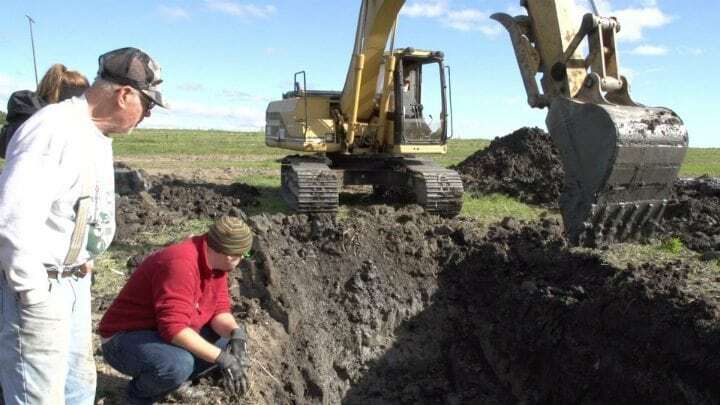 Such was the case for one unsuspecting farmer who happened to come across a mysterious object that turned out to have belonged to something completely unexpected–something that went extinct many years ago. Keep reading to find out what the farmer’s bizarre discovery actually turned out to be. Believe us, you don’t want to miss it! Farmer Jose Antonio Nievas was just getting some fresh air while enjoying a casual Christmas Day in 2015 stroll along his grounds when something unusual happened that would forever be ingrained in the memory of those far beyond his small town. The farm was a common place to find various kinds of plants and animals, but on that unassuming day, Nievas stumbled across something that he had never encountered in his line of work and completely left him in a state of shock and wonder. 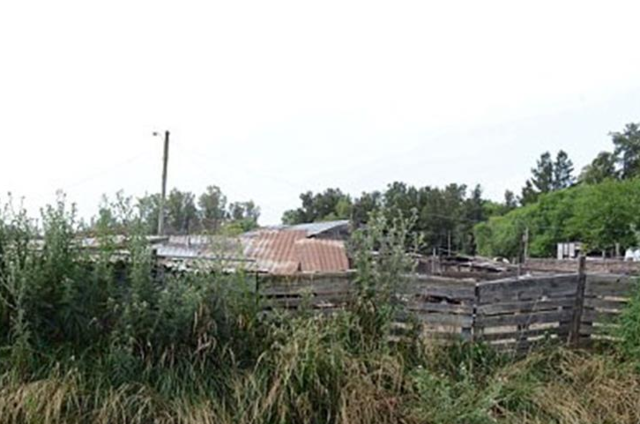 Jose Antonio Nievas’ farm was located in Carlos Spegazzini, a city about located 25 miles (40 km) south of Buenos Aires. It was during his stroll when he passed a stream on his property and something striking caught his eye. Unassumingly wedged in the bank of the stream was a large, rounded object that he initially thought looked like a giant stone. However, as he approached the item, he realized that it was in fact not a large rock. As he got closer, Nievas observed that it was in fact not a stone at all. The strange object was partly covered in mud and he couldn’t determine what it was. 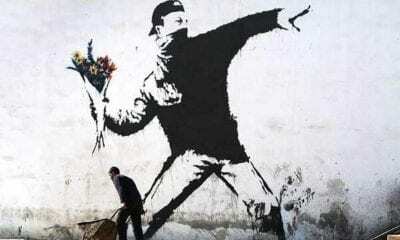 As he tried to clear the grime off of the round object, he started to associate it with something else. There seemed to be textured scales covering the odd discovery that was mostly a dark color with some unusual green hues covering some areas. The Argentinian farmer definitely couldn’t identify it and probably never would have guessed what it really was. Nieves attempted for some time to dig the mystifying object out of the mud and clean it to get a better look. Nonetheless, he was having trouble dislodging it from the riverbank and needed another pair of helping hands to assist. The local farmer then called his wife over for reinforcement, telling her that he thought he had found something incredible. 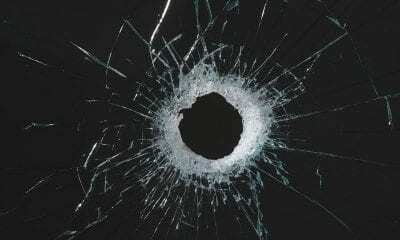 However, when he explained the object to his wife, Reina Coronel, she didn’t believe him and thought he was pulling her leg. 5. 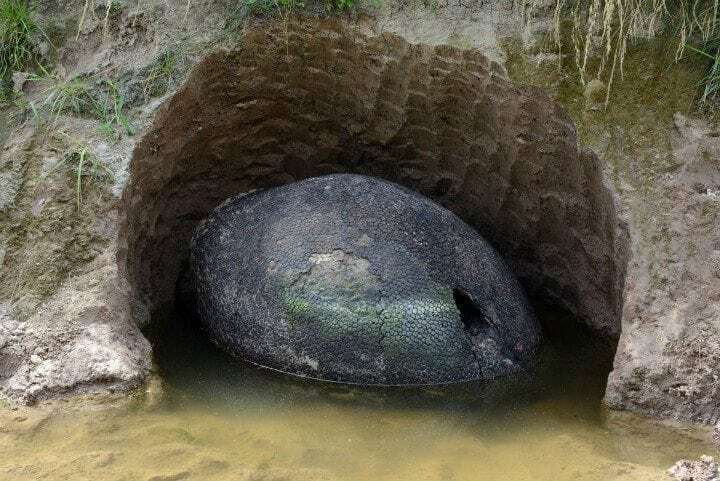 A Giant Dinosaur Egg? “My husband went out to the car and when he came back he said, ‘Hey, I just found an egg that looks like it came from a dinosaur,” she said. “We all laughed because we thought it was a joke.” But it was, in fact, not a joke at all. Reina eventually came to help her husband out, but it turned out that the unusual find wasn’t actually a giant relic that could have been a prop on the set of Jurassic Park. The family was left utterly confused, but they would soon learn the astonishing truth. The couple continued their efforts to extract the discovery, working carefully and deliberately so as not to harm the object. Despite their attempted excavation, however, the pair realized that the object was larger than they had initially estimated. The duo realized they needed more help and decided to call the police to see if they could help identify it and remove it from the muddy waters. No one was expecting what happened when the authorities arrived. By the time the police arrived at Jose’s farm, so had a mass of townspeople who were crowding around to get a look at the spectacle and take pictures of it. Although everyone was trying to put their heads together to explain the oval object, neither the police nor the public could reach a conclusion. The authorities were just as baffled as Jose and his family and couldn’t provide any explanation. Luckily, Jose’s dog had made its way over to the scene and started behaving in a way that provided a hint about the nature of the unexplainable discovery. 8. A Clue From a Canine? 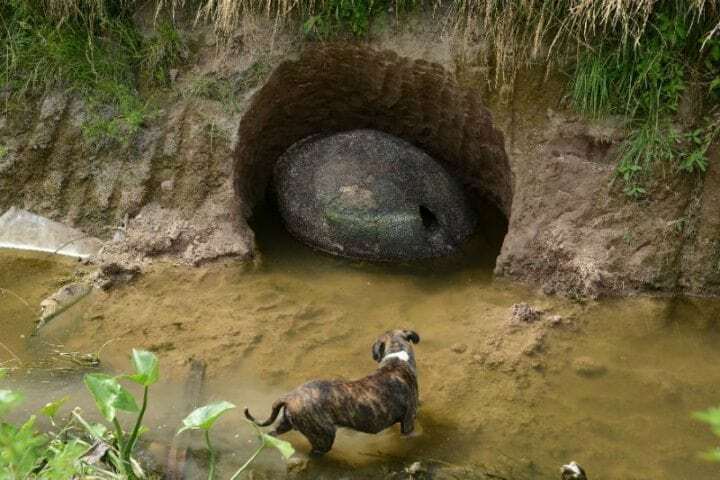 Jose’s dog had made its way over to all of the commotion and started exploring the area of the riverbed where the big, bizarre object was found. The curious dog started sniffing and barking at it leading the human observers to realize that this was more than just an ordinary stone. The people of Carlos Spegazzini began offering their guesses about the scaly mystery. Still, none of those who had flocked to Jose’s farm to witness the extraordinary discovery could offer a logical explanation. That’s when the police decided that further action was necessary. 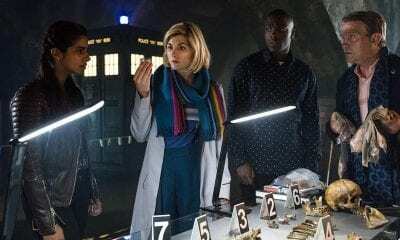 At this point, the authorities decided to defer to more specialized experts in the field and summoned two local archaeologists who could hopefully explain the out-of-this world discovery. The archaeologists were thrilled to have the opportunity to study the rare discovery. Although they couldn’t conclusively determine what it was at first, they did provide an initial estimate: that it was a relic from ancient times. Still, the scientists said they would need to run further tests. As they prepared to remove it and transfer it to a lab, they had a shocking realization. 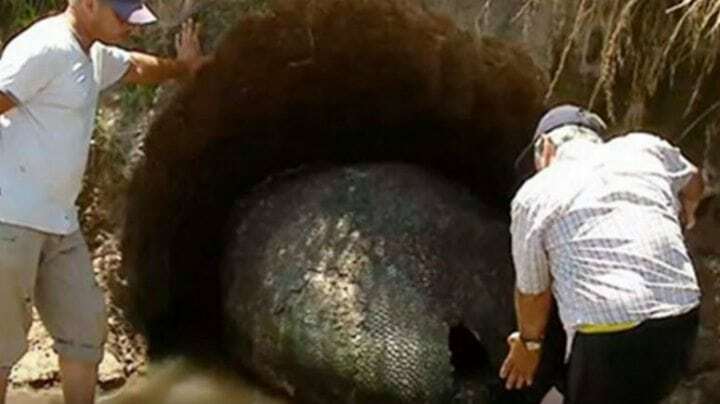 As the archaeologists further removed the mud and attempted to dig the giant egg-shaped item out of the riverbed, they realized just how enormous and heavy it was. The group of excavators struggled to move the shell due to its consistency of hard material and weight of nearly two tons! The experts had to wade in the muddy water and wet earth to carefully dig around the enormous artifact. They were finally able to extract it and carefully load it for transport to the lab, where additional research would provide an extraordinary answer. The archaeologists ran extensive examinations and looked at samples of the mysterious shell-like structure under the microscope. The scientists observed what couldn’t necessarily be confirmed by the naked eye, and they were extremely excited by what they saw. What they determined, was that Jose’s discovery was not actually an egg or extra-terrestrial object. Nonetheless, the results would provide a huge shock those who had found it, and the rest of the world at that. Much to everyone’s shock, the scientists revealed that the 2 ton discovery actually had an explanation. As it turned out, they said that the giant object was, in fact, an extremely well-preserved ancient fossil belonging to a prehistoric beast. 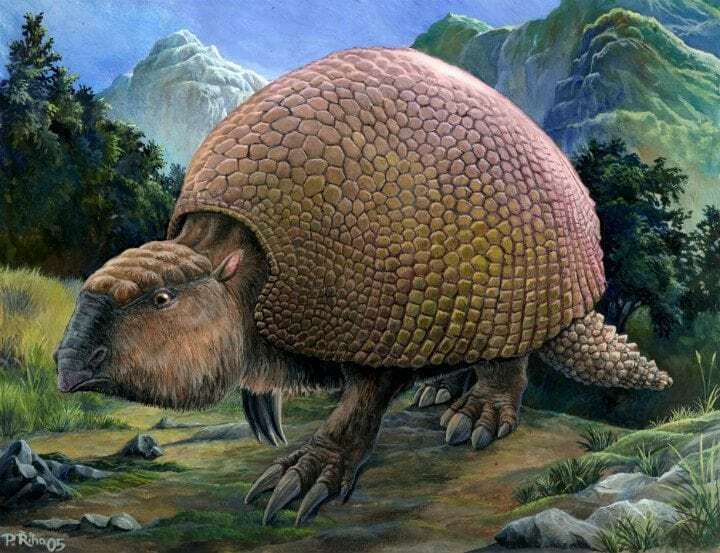 Experts agreed that the enormous fossil dating back about 10,000 years had in fact been the armored, turtle-like shell of the long-extinct prehistoric creature called a glyptodon. Finally an answer! 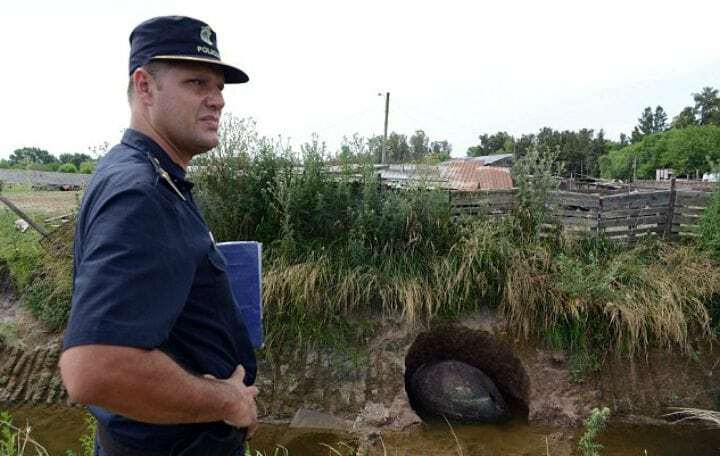 But how did the fossilized glyptodon shell end up on Jose Antonio Nievas’ farm? 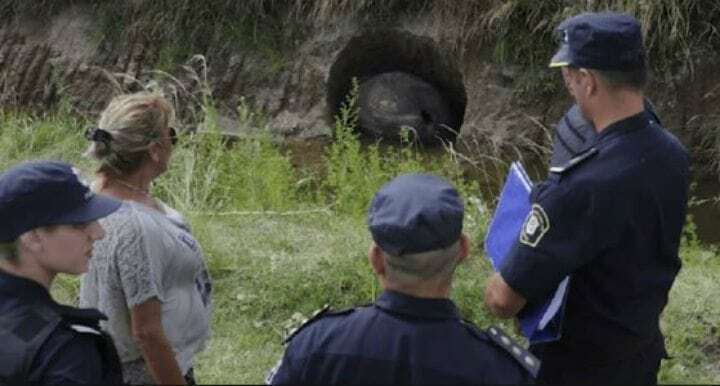 Word got out that the mysterious 2 ton discovery was a giant glyptodon shell, and wonder ensued. While experts said that it is very rare to find such an intact fossil belonging to the prehistoric creature, it did occasionally occur. Still, questions loomed about the legitimacy of the discovery’s identity and skeptics doubted that the shell could have been preserved in such good condition and in an upright position, as it is believed that glyptodon often died after being turned over on their shell. 14. Could it be a Hoax? More experts chimed in and some even addressed suspicions that the mysterious discovery had been a staged hoax. While other scientists couldn’t draw conclusive answers unless the studied the relic directly, photographs and footage of the shell led many experts to paint a pretty vivid picture. Prof. Adrian Lister of the Natural History Museum in London was one who explained that it was common to find such fossils in flowing bodies of water where erosion gradually reveals ancient shells and bones. The mud could have also served as a preservative casing. But that wasn’t all. “It would be an ingenious hoaxer who would construct such a thing,” said Prof. Lister. 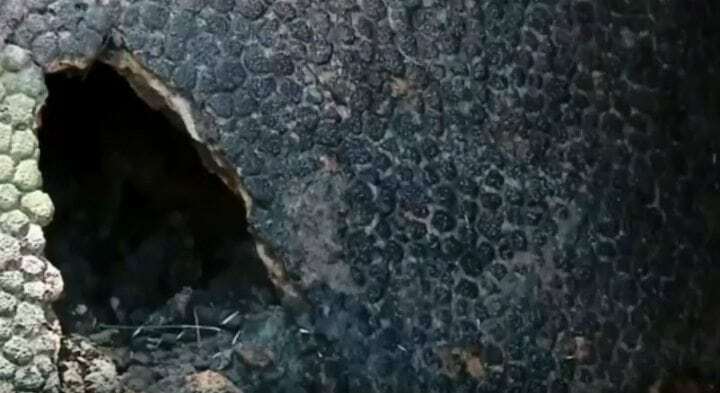 “The shell looks like a genuine glyptodon shell, and the hole is “wear and tear,” not where the head or tail went,” he added. Other experts who saw televised images of the artifact agreed that it looked like a glyptodon shell. 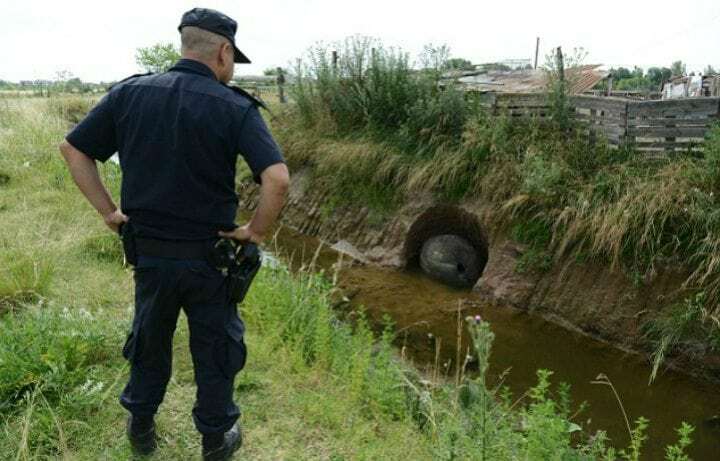 “There is no doubt that it looks like a glyptodon,” said paleontologist Alejandro Kramarz of the Bernadino Rivadavia Natural Sciences Museum. But what was this unusual creature? Although they may not be as commonly known as other prehistoric creatures like the giant sloth and saber-toothed cats, glyptodons roamed Earth during the last Ice Age. Roughly the same size and weight as a Volkswagen Beetle, these mammals are recognized by their rounded, plated armor (or carapace) that measured about two inches thick. The species also had a protective bony cap on the top of their skull and a spiked tail that it could swing to help them ward off predators or use during intraspecies fighting. Glyptodons were relatively peaceful herbivores that grazed near lakes and rivers. While questions were raised about the genuine nature of the fossil found on Jose Antonio Nievas’ farm, it is known that glyptodons originally evolved in South America and lived on the continent for tens of millions of years. 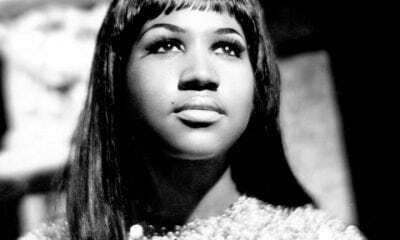 Their remains have also been found in Argentina, Brazil and Uruguay. When the continent of South and North America fused during the Great American Interchange, the species migrated northward and reach the southern part of what is now the U.S. about 2.5 years ago. But the story doesn’t end there. “The animal became extinct thousands of years ago and it is very common to find their fossils in this region,” paleontologist Alejandro Kramarz told AFP. Although the now-extinct animals most-recently lived thousands of years ago, researchers continue to study their surprising relation with another species that could have led to their extinction. Evidence shows that humans hunted these huge armored animals and used their domed shells for shelter before they went extinct around 10,000 years ago. Their extinction is believed to have coincided with the human arrival to the Americas. And while mankind has outlasted these extraordinary extinct animals, you are likely familiar with their modern-day ancestors. Although the mammoth size of glyptodons had raised doubt about their lineage, scientists had long suspected that they were ancient relatives of a fairly common land animal that is a much smaller mammal but also has a protective armor shell. 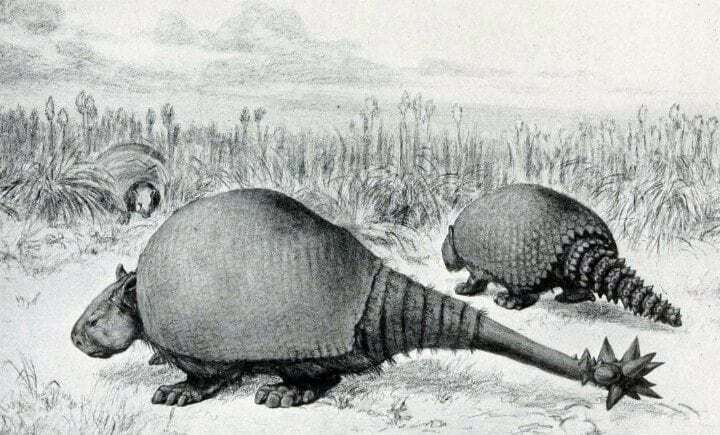 Glyptodons were enormous compared to their modern-day contemporaries, but the prehistoric animals are related to none other than the present-day armadillo. 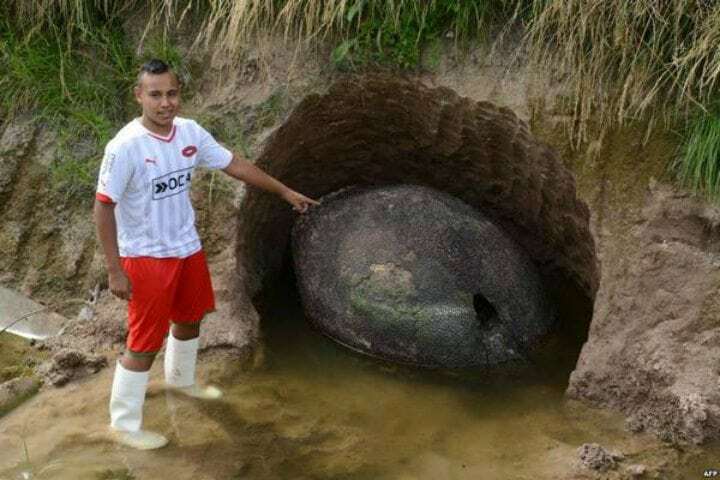 Keeping their size in mind, there was one more surprising thing that scientists discovered about the glyptodon fossil found by the farmer in Argentina. The large fossil found on the farm in Argentina was seemingly gigantic in size, measuring about three feet long. However, paleontologists estimated that the shell had belonged to a juvenile glyptodon seeing that fully-mature members of the species could measure up to 11 feet in length. 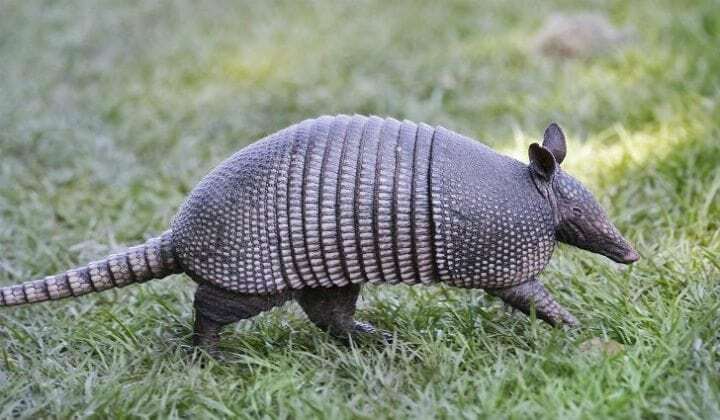 It is amazing to think that these huge beasts once roamed these now-inhabited lands and the amazing discovery of the well-kept glyptodon remnant found by Jose Antonio Nieves no doubt helped scientists uncover further breakthroughs about the mysteries of these extinct animals. Read on for an even more incredible discovery. 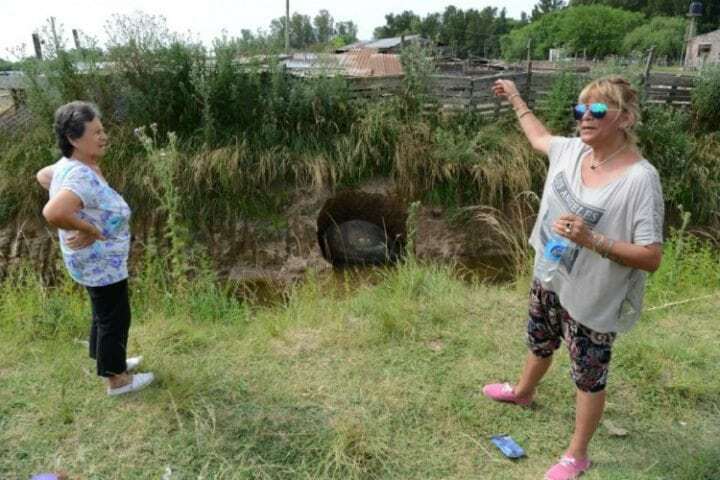 The historic discovery of the rare remains of the prehistoric giant found by Jose Antonio Nievas in Argentina was truly remarkable, but it was not the only amazing discovery made by an unassuming farmer in a rural town that year. 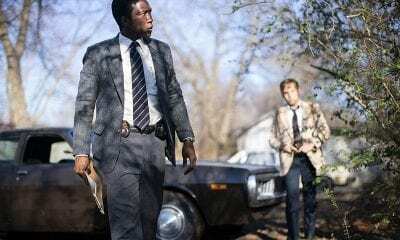 Half a world away in the Northern Hemisphere, a farmer in Michigan named James Bristle was working on a soybean field on his property when he came across a completely stunning discovery that would soon make him a local celebrity, not to mention an international media phenomenon. James Bristle had recently bought the property near the Ann Arbor-area city of Chelsea. On this particular day in October 2015, he needed to make some infrastructure updates and chose the out-of-the-way soy field to lay a life station for a new natural gas line. The field was supposed to have soft, loose soil, but to dig to the depths needed to install the gas line some heavy machinery was needed. Along with a colleague, Bristle was plowing deep into what was supposed to be the soft Midwestern earth when their backhoe hit something. Thinking that they’d probably struck the like of a stone or a root, Bristle got down on his hands and knees to further inspect the obstacle to their digging. As he felt the ground, he realized that the object was hard and smooth. With piqued curiosity, the farmer continued to try to clear the soil and brush the dirt off of the object. Although they couldn’t initially determine its nature, James Bristle and his friend finally managed to clear some of the mud and that’s when they realized they’d found something peculiar. 24. A Bent Fence Post? 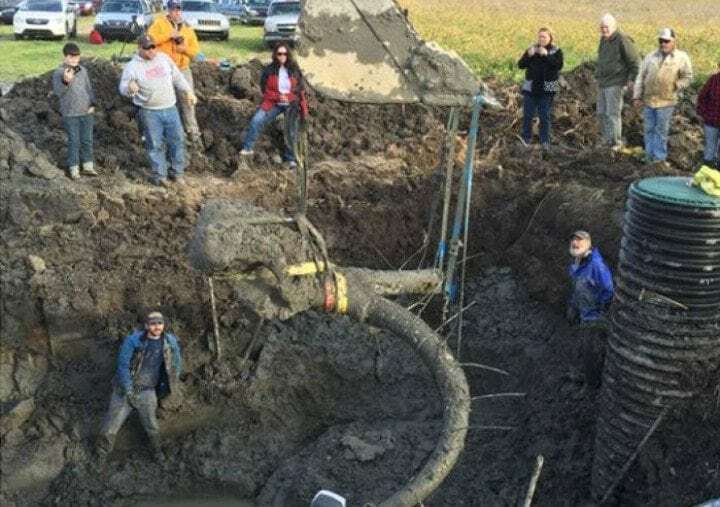 The Michigan farmer was completely awestruck when he realized that he had unearthed what looked like a bent fence post caked with mud and dirt. Luckily, he didn’t chuck it away and continue working to clear the land. “We knew it was something that was out of the norm,” Bristle said. 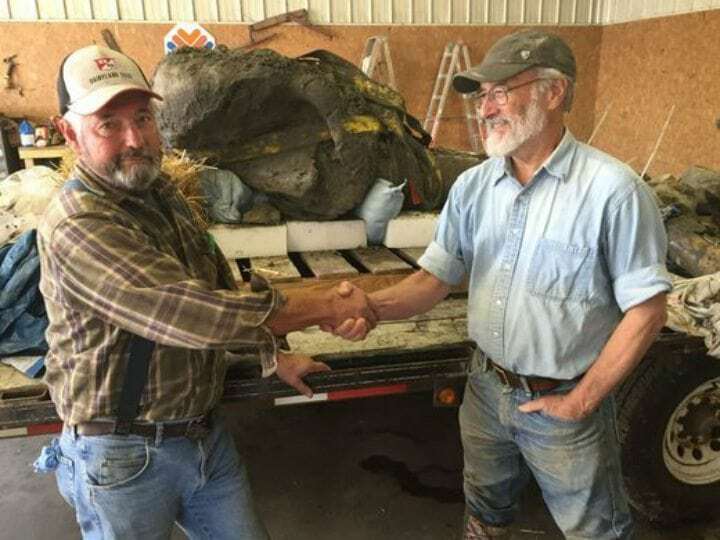 “My grandson came over to look at it, he’s 5-years-old, he was speechless.” That hunch led James Bristle to a greater discovery that would shock his family and the small southern Michigan town. At first, they weren’t exactly sure what they had found, but after cleaning the oddity, Bristle realized that he was holding some kind of bone, but not like one he’d ever seen before. He said the skeletal fragment looked like a rib bone. However, it was much too large to belong to any animal common to the area. 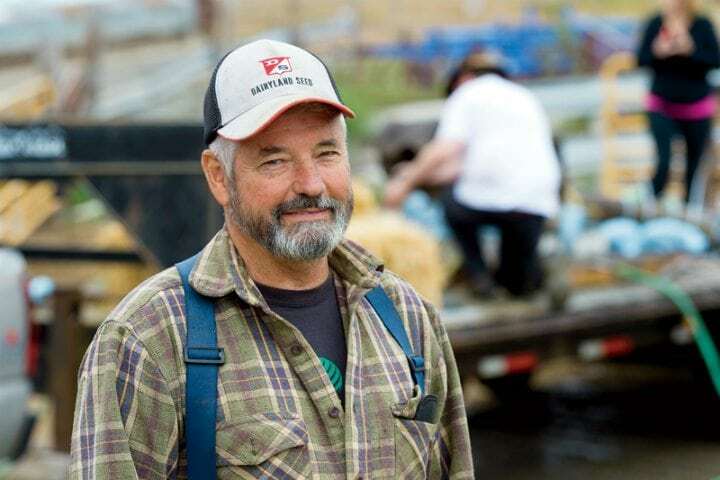 Bristle’s family had owned the farm across the road since the 1950s, but he had only acquired this land two months before making the curious discovery. It would soon be clear, however, that the purchase would be life-changing. The find had raised Bristle’s curiosity and he literally kept digging for more clues. As he unearthed more soil from the site, he was astonished when he eventually found another bone. The mystery became more perplexing as the second object was much longer than the first. Hoping that there were probably more clues, Bristle had other people come help tunnel out 10-feet-deep of sediment. Meanwhile, news of the baffling discovery ran through the town and local attention started turning to the amateur archeological site. As an electric air of excitement ran through the town, news outlets started picking up on the story. The rumor mill was full of theories about what the bones could be and how they could have ended up the humble farmer’s property. Among all the confusion, a giant skull was uncovered from the site. Not only had a skull be revealed but, attached to it were two expansive tusks as long a person. Rumors buzzed about it being an elephant or even a monster, but the real answer was about to stun them all. At this point, James Bristle realized that he was dealing with something out of the ordinary that needed an expert assistance. Therefore, he called Prof. Daniel Fisher from the University of Michigan’s Museum of Paleontology. Eager to help with the exciting case, the professor arranged for a team of his students to help. The team arrived at the farm and had to work at top speed as Bristle could only dedicate a day to the excavation. Diligently working on overdrive in the muck, the team was stunned upon realizing what these bones actually were. A local excavator lent some large machinery and his expertise to help streamline the project as well. But what he said, Bristle will never forget. “He said he’s been digging for 45 years and he’s never seen nothing like this,” Bristle cited the excavator as saying. Everyone was shocked when it was revealed that these bones had also belonged to a long-extinct giant of the Ice Age – a woolly mammoth! Now there was a name to go with the mysterious bones, but there were still more surprising discoveries awaiting. Along with the fossilized mammoth tusk and skull, excavators found more bones belonging to the extinct animal. 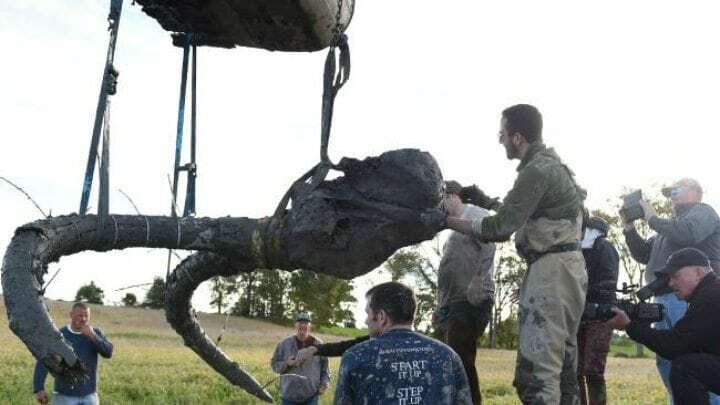 A pelvis bone, several vertebrae, ribs and both shoulder blades were also safely extracted from the muddy hole much to the awe of all the curious onlookers. “When my five-year-old grandson came over and saw the pelvis, he just stood there with his jaw wide open and stared. He was in awe,” Bristle said. The specimen was then taken to a museum for further inspection, where evidence would reveal another surprise. 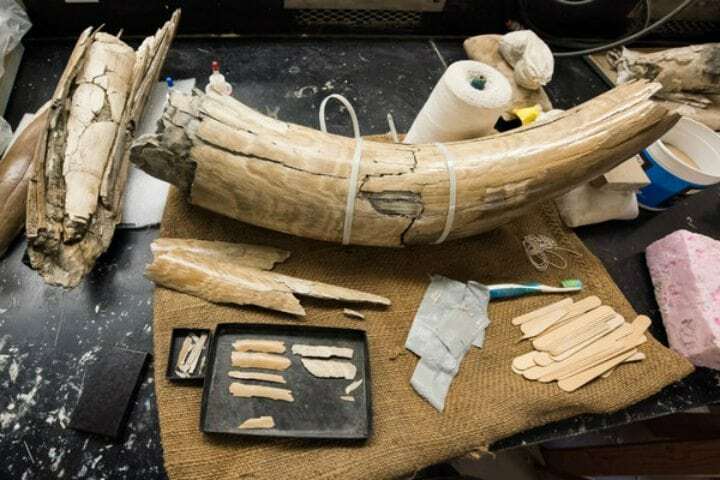 Like the prehistoric find in Argentina, the amazing discovery of the woolly mammoth fossils raised questions about how and why they ended up where they did. 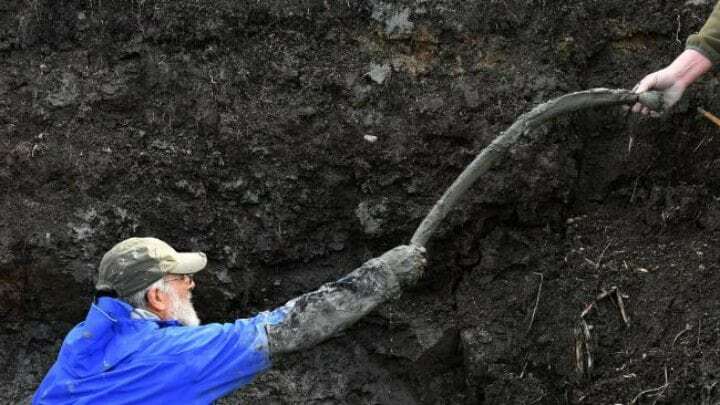 Drawing another parallel to the account of the farmer who found an Ice Age relic in South America, the so-called “Michigan Mammoth” also had a human link. 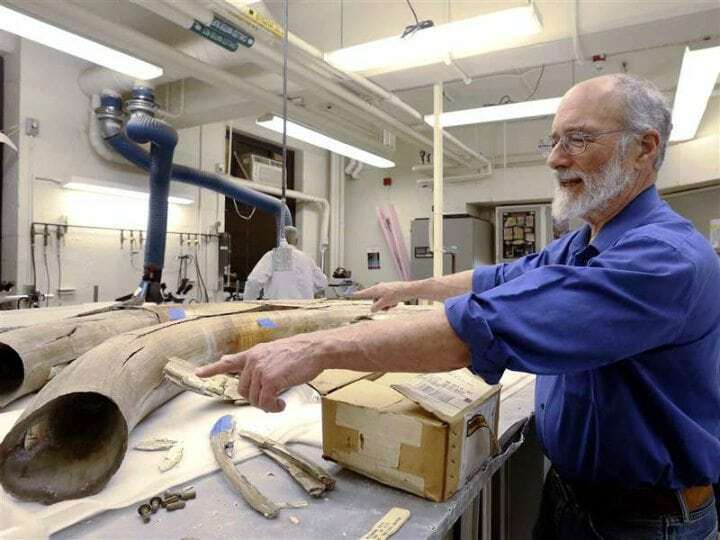 Michigan Prof. Dan Fisher hypothesized that the mammoth had been about 40-years-old when it met its demise. “We think that humans were here and may have butchered and stashed the meat so that they could come back later for it,” he said. But there was still something else extraordinary thing about the find. Mammoths and their distant relative, the mastodon, were among the most famous species to roam the Earth during the Ice Age. Mammoths, ancestors of modern elephants, first evolved around five million years ago and predominantly became extinct about 10,000 years ago. With about 20% of the extinct animal’s skeleton intact, researchers could determine quite a bit. According to Prof. Fisher, the remains of the two-ton mystery unearthed in Michigan date back between 11,000 and 15,000 years ago. 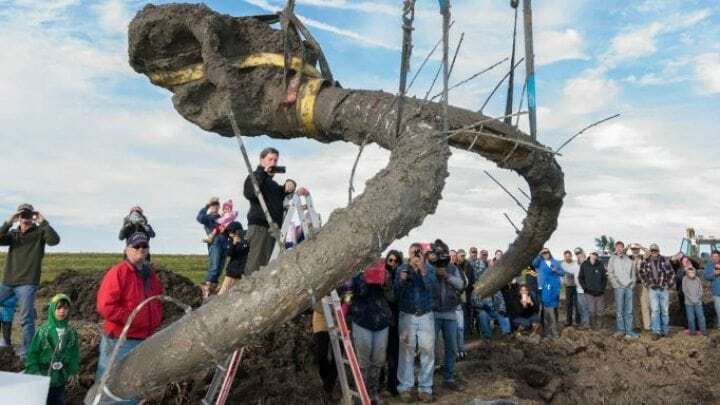 Keeping in mind Prof. Fisher’s theory that humans killed the mammoth and hid its remains in a pond for safekeeping, scientists will study the bones for further indication of human activity – such as cut marks – which could shed light on the much-debated topic of human arrival to the continent. Depending on the results, the Ice Age artifacts could provide revolutionary evidence about when mankind arrived in the Americas and that human interaction with the woolly mammoth may have occurred earlier in the eastern Great Lakes basin than had previously been believed. 34. Just How Common are Mammoth Findings, Though? What made the Brittle Mammoth discovery all the more amazing was just how rare it was. “We get calls once or twice a year about new specimens like this,” Fisher said, adding, however, that they usually turn out to be mastodons. While there have been some 300 mastodon findings in Michigan, only 30 mammoths have been discovered over the years. 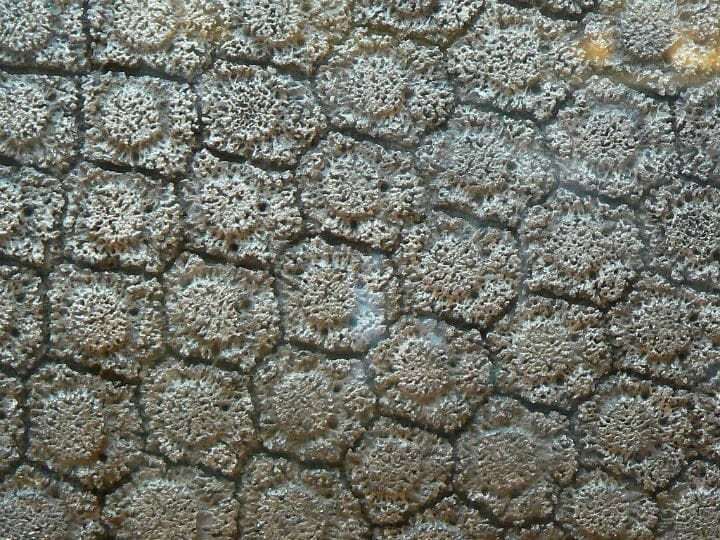 Of those mammoth fossils, only about 10 bore significant findings. Most mammoth discoveries are not as complete in structure as the one found in James Bristle’s field, Prof. Fisher said. The last Ice Age is far over at his point, but thanks to like of attentive farmers like James Bristle and Jose Antonio Nievas, scientists can hopefully discover more about the history of our planet. The farmers lived on different continents and didn’t know each other, but coincidentally they are now forever linked. Thanks to both of their thoughtful actions, experts were able to carefully extract the valuable fossils and preserve them in better condition for research than had they haphazardly been pulled from the ground. If you liked this article, don’t forget to SHARE it with friends!